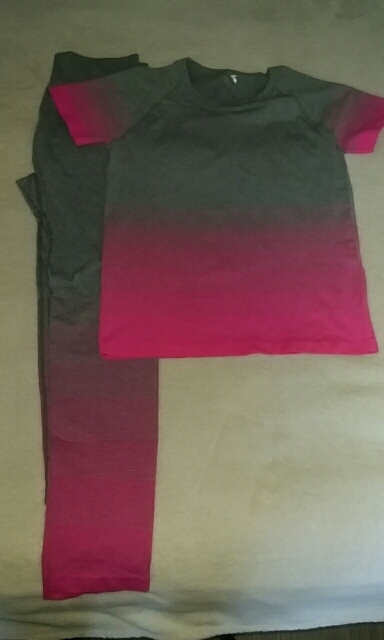 Our Women’s Tracksuits Yoga Sets are beautiful, best quality, available in various colors. Made of quality nylon, spandex and polyester blend are perfect for any exercise – yoga, running, gym etc. Very nice suit. in my 48-50 size L sat very well. I am happy. A wonderful suit. no smell, the seams are perfect. very fast shipping! all just super! thank you very much the store! The product is just as wonderful as I want. Thank you very much, store five stars. Lovely suit. very soft, nice material to the body, good stretches, excellent quality and beautiful. Received the order, the store is very happy, very good service, I thank him for giving me the change I love the color of this shop is recommended. 5 stars. Fast delivery, excellent quality, pants just on the stomach is too big, but still I am very happy!